In July, a hydroelectric dam under construction in the Sanamxay District of Attapeu collapsed releasing an amount of water equivalent to 2 million Olympic-sized swimming pools. It caused immediate flash flooding through several villages. Homes, roads and bridges were swept away. Several lives were claimed, hundreds went missing, and more then 6,000 lost their homes. Those that have been rescued are currently sheltering in make-shift tents. Please pray for protection for those that have been affected and pray that God will work through the organisations providing aid, to provide for those suffering. Five men were participating in a Christmas celebration in a village that had recently seen some locals convert to Christianity. One of these men showed the Jesus Film on a projector to the whole village and began to witness to those watching. He publicly encouraged people to accept Jesus, which is against the law in Laos. They were arrested and imprisoned. Please pray for this situation, for the men and for their families who must work to look after themselves and provide food to their imprisoned loved ones. We remember that the Lord alone is sovereign over all earthly powers and authorities. Villagers in remote areas of Laos who convert to Christianity are often rejected by their community, who fear that any turning away from traditional animist beliefs will upset the spirits. Converts can have their family books confiscated which removes their standing in society and severely restricts their ability to access services such as education for children. At the same time Christians have been imprisoned for evangelising and some pastors are kept under surveillance by the communist authorities. Please pray for Christians as they seek to reach out to their communities; for pastors as they work to help their churches in often poor and remote areas. Pray too that the government will recognise the value of Christians and stop mistakenly seeing Christianity as a tool of the West. The Communist party in Laos views Christianity as a challenge to Communism and therefore puts enormous pressure on the small Christian minority. However, most persecution comes from local authorities, who regard Christians as enemies; they make use of society's hostile attitude towards Christians to justify monitoring churches. Corruption is also widespread and Christians are often extorted for money. Local officials can ask for compensation from imprisoned believers for providing food and accommodation. Those from tribal backgrounds - the vast majority of all Christian believers - suffer the most. This is especially true for Christians from the Hmong tribes. Converts in rural areas may face threats of their children being poisoned, or they may be excluded from educational and community resources. Of those that stay loyal to their Christian faith, many are expelled from the community. The large numbers of Khmu people becoming Christians and growing spiritually in Laos today is due in large part to the Khmu radio broadcasting programme. This is broadcast twice a day from the Philippines and beams into Laos, Thailand, China and Vietnam, where the Khmu are living. The population of the Khmu in southeast Asia is about 800,000, with about 700,000 in Laos, of which there are about 60,000 Khmu Christians in 11 provinces. 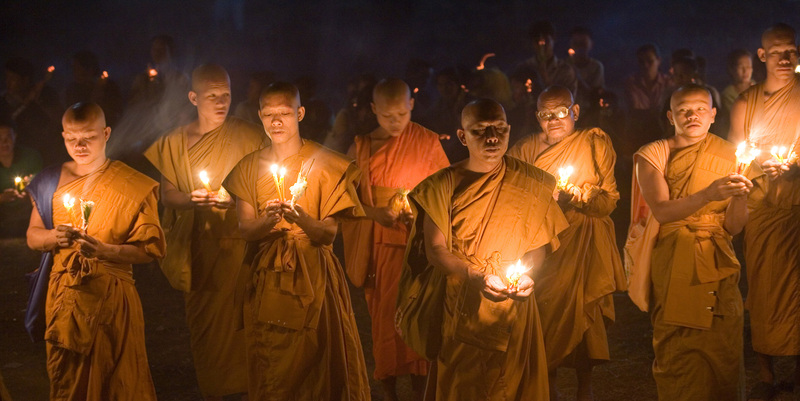 In Laos, believers are regularly monitored by the authorities, hindering church growth. Pray for courage and protection for God’s people, especially those who live in remote areas. Pray too for God to plant a vision for youth ministry in the hearts of more church leaders and pastors, so that young believers may be trained and mobilised to become involved in the life of the Church.